The alcoholic beverage market in Vietnam is experiencing a fierce competition between local and international players, especially in the beer industry. The market has witnessed a continuous growth in recent years in terms of production and consumption. Major drivers of growth are economy, young population, the rise in disposable income, and drinking culture prevalent in Vietnam. According to the Ministry of Industry and Trade, Vietnam has consumed 3.92 billion liters of alcoholic beverages in 2016 and was ranked 16th amongst the largest alcoholic beverage consuming countries in the world. Beer contributed 3.78 billion or 96.63 percent of the total, making Vietnam one of the top 10 beer consuming countries, and third largest in Asia after Japan and China. Last year, Vietnam’s beer consumption reached 4 billion liters. By 2020, consumption of alcoholic beverages and beer in particular, are projected to reach 4.97 and 4.84 billion liters, respectively. Around 90 percent of Vietnam’s market is controlled by top four breweries including Sabeco, Habeco, Heineken, and Hue Brewery, while new players like Sapporo, AB InBev, and Masan Brewery share the remaining 10 percent. In 2016, 1.640 billion liters of alcoholic products consumed were produced by Sabeco, while Habeco sold 717.4 million liters. International brands including Heineken, Carlsberg, and others contributed 1.428 billion liters. Sabeco, the biggest brewery with a market share of 40 percent, has been controlled by Thaibev – Thailand’s largest beverage enterprise from December last year. 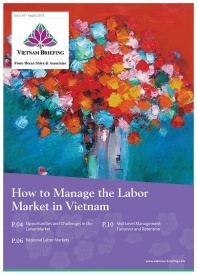 The deal worth US$4.84 billion for a 53.6 percent stake is considered as a historical record in Vietnam’s M&A market. After acquiring 100 percent shares of Hue Brewery, which is a Vietnamese-originated brewery, Carlsberg is planning to increase its shares in Habeco, Vietnam’s second-largest beer maker from 17.51 percent to 61.79 percent in 2018. The beer market continues to be a vibrant and profitable market for international players. Vietnam’s population is projected to reach 100 million by 2020 with working-age population accounting for 60 percent of the total, and a median age of 30. This group is a major target market as it is the largest consumer of beer in the country. In addition, 77.3 percent of the male population consume alcoholic products, which is twice the average and the highest figure in the world. Furthermore, Vietnam’s middle class will double in size by 2020, reaching 33 million – the fastest growth rate in South East Asia. A research conducted by the Leuven University shows that if income per capita in poor countries increase, citizens of those countries will consume more beer. However, if the income per capita reaches to US$ 27,000 per year, there will be a decrease in beer consumption caused by an increasing awareness of harmful effects of drinking beer and a tendency to consume other expensive alcoholic products like wine. 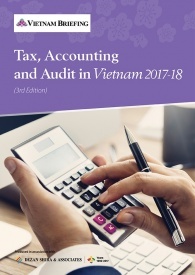 According to the General Statistics Office of Vietnam, the income per capita of Vietnamese people was only US$ 2,385 USD in 2017. According to a survey on beer drinking conducted by the Ho Chi Minh City University of Education, targeted at Vietnamese people, especially the young, most of the respondents agreed that drinking alcoholic products is to well observe social etiquette, exhibit a proper manner at work, and build and maintain social networking and business relationships. This mindset has existed in the Vietnamese society for ages. In addition, Vietnamese people are able to consume alcoholic products for any celebrations. The drinking culture also reflects on consumer behavior and understanding it is vital. A research conducted by Ipsos UU reveals crucial differences in alcoholic consumption behaviors of people living in the three main regions of Vietnam. Northen Vietnam based consumers tend to be trend followers, pay strong attention to packaging, especially for products that are gifted and have considerable knowledge of different brands. Central Vietnam based consumers tend to be reserved, less willing to try new brands, and prefer local brands. The absence of a variety of brands can be a key reason for this trend. By contrast, people living in Southern Vietnam are classified as easy-going consumers who are willing to try new brands and are knowledgeable about different brands. Vietnamese people have seen vast improvements in their standard of living and consumer spending power, along with a strong obsession with foreign products, believing them to be of higher quality. Therefore, Vietnamese consumers nowadays are willing to pay more money to try higher quality products, thus creating room for imported products. In addition, as the retail industry is moving away from traditional to modern retail, it is not difficult for consumers to find imported alcoholic products in the supermarkets. According to a 2020 projection, 492.9 million liters of high-end products will be consumed, while the figures for mid-range and low-cost products will be 3 and 1.34 billion liters, respectively. 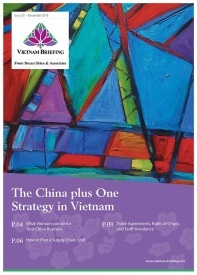 Until 2017, Vietnam has received benefits deriving from ten FTAs, including six collective FTAs and four bilateral FTAs. Other five FTAs are still under negotiations, in which the negotiation process of the Comprehensive and Progressive Agreement for Trans-Pacific Partnership (CPTPP) will be accelerated in March this year after a postpone caused by the withdrawal of the US from its earlier version, TPP. EU-Vietnam free trade agreement (EVFTA) signed in 2015 is expected to come into force in mid-2018, further increasing market access. The removal of import tax will not only reduce the special consumption tax but also the price of imported products and will provide a level playing field for imported and domestic products. In the third quarter of 2017, the Ministry of Industry and Trade finally clarified that there will no beer stamping policy as it may lead to higher costs for businesses. This policy was proposed by the Vietnam Beer Alcohol Beverage Association (VBA) in 2011 as an effort to manage beer production and deal with illicit and counterfeit beer. If this policy comes into force, breweries will bear an extra cost of VND 1.7 trillion a year leading to a hike in beer prices. According to the Law on Special Excise Duty No.70/2014/QH13, from 2018 onwards, special consumption tax rates imposed on alcoholic products with ABV < 20o, ≥ 20o, and beer, will be 35 percent, 65 percent, and 65 percent respectively. Noticeably, the schedule of special consumption tax for these kinds of products has witnessed a five percent increase annually since 2016. If this trend continues, it can lead to a higher special consumption tax in 2019, further increasing prices. Under the Law on Advertising No.16/2012/QH13, mass advertising is not permitted for alcoholic beverages with an alcohol content above 15 percent, with the exception of beer. This regulation will prevent the development of beer alternative products like wines whose market shares are considerably smaller, at 3.37 percent. In addition, pursuant to Decree No.181/2013/ND-CP following the Law of Advertising, Vietnamese enterprises are required to work with Vietnam-based licensed advertising services providers. This prohibition will prevent Vietnamese enterprises to employ other useful and low-cost tools to advertise products such as Facebook. The quantity of the licenses for liquor wholesaling is determined based on the provincial population: no more than 01 License for liquor wholesaling for 100,000 people. From 2026 to 2035: no more than 264 Licenses for liquor distribution are issued, no more than 1056 Licenses for liquor wholesaling are issued. Vietnam is among the world’s top ten highest beer consuming countries, but the beer consumption per capita solely stands at 50th in the world. With a growing population and increase in income, the prospect of growth of beer consumption in Vietnam is substantial. The beer-loving market is set to continue growing through 2035 when sales are projected to hit 5.5 billion liters or 52 liters per capita. The M&A deal between Thaibev and Sabeco, which was previously controlled by the Vietnamese government at 90 percent, was the first time the government sold a majority stake to foreign investors. This demonstrates a strong commitment by the government towards state divestments to create a liberalized business environment. Vietnam’s alcoholic beverage market will continue to be a priority for international players, promising to bring a fierce but fair competition in the field. Currently led by four players, the market will continue to attract numerous investments from foreign investors looking to tap into one of the largest and fastest-growing beer markets.